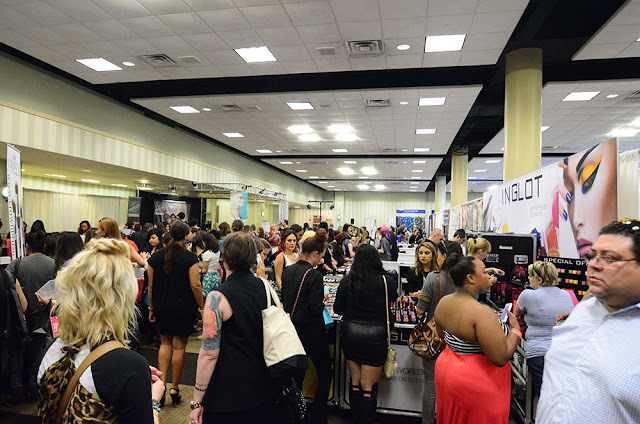 The Makeup Show Dallas is nearly approaching and I get asked questions quite often about the show. Some questions are asked more then the other so I wanted to build this FAQS post which is actually on the website but I do understand that some people don't navigate through the site so I try to make things simple where people can just click one link and read. IS THE MAKEUP SHOW OPEN TO THE PUBLIC? The Makeup Show is a PRO-focused beauty event open only to those in the beauty and fashion industry. Makeup artists, hairstylists, estheticians, cosmetologists, agents, models, stylists, photographers, industry insiders and anyone that works or studies in under the umbrella of beauty and fashion are permitted attendees. ARE THERE GROUP DISCOUNTS & SALES? Yes, any student currently enrolled in a beauty/hair school is allowed to attend. Students receive 10% discount on tickets and MUST show student ID or enrollment papers at the door. All children under the age of 8 are complimentary. Children above the age of 8 are to have a ticket for entrance but allowed to accompany their guardians. We recommend you purchase your ticket in advance on our website. Once you have successfully gone through the registration process you will receive an email confirmation with a QR code. Please bring this confirmation to the entrance of The Makeup Show, in order to be scanned and given your wristband for entry. Note if you have purchased your tickets through someone who is selling group tickets you should communicate with them and organize a time to pick up your wristband before the show. I CAN'T GO TO THE SHOW CAN I GET A REFUND OR GIVE TO FRIEND? 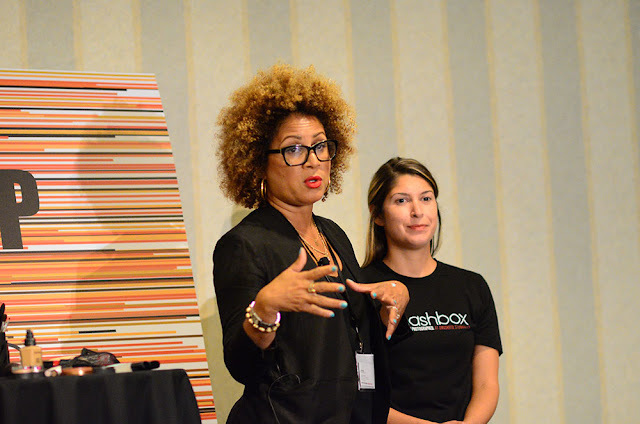 As a salon, spa or boutique owner you will be able to learn about the newest brands, products and techniques in the industry. As a professional freelancing or working for a beauty brand or retailer you will be able to educate yourself about the newest products, techniques and brands, as well as networking with company executives and high level artists in order to further your career. Pro-discounts ranging from 10-60% is typically in effect from participating companies as well as companies allow registration to pro-industry benefits. HOW IS THIS SHOW DIFFERENT FROM THE OTHER MAKEUP TRADE SHOWS? 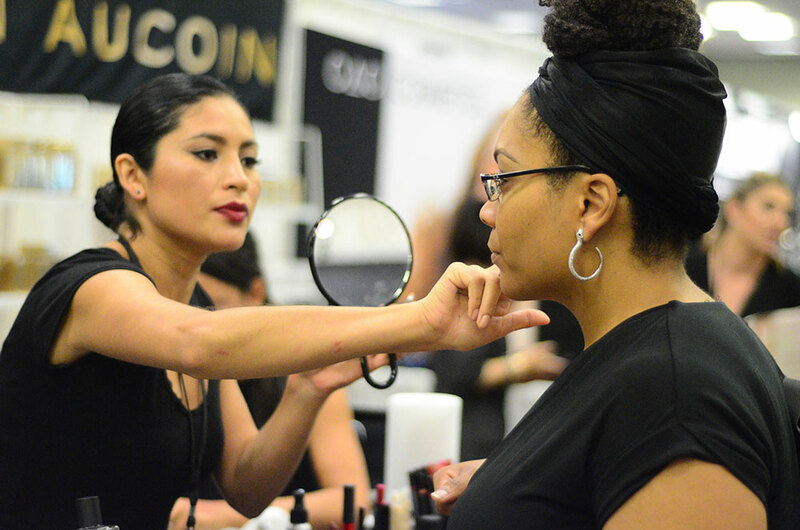 The Makeup Show is strictly only open to those in the industry and offers access to pro and prestige brand products and education that is not offer elsewhere. WHAT ARE SOME OF THE MAJOR ASPECTIS OF THE INDUSTRY THE SHOW WILL BE COVERING? The Makeup Show helps both the ne* and experienced in the industry. Those in school or just starting out can learn from basic seminars and networking as well as hands-on workshops. Those who have been in the industry and are experts can still expand their education by taking hands-on workshops and seminars. 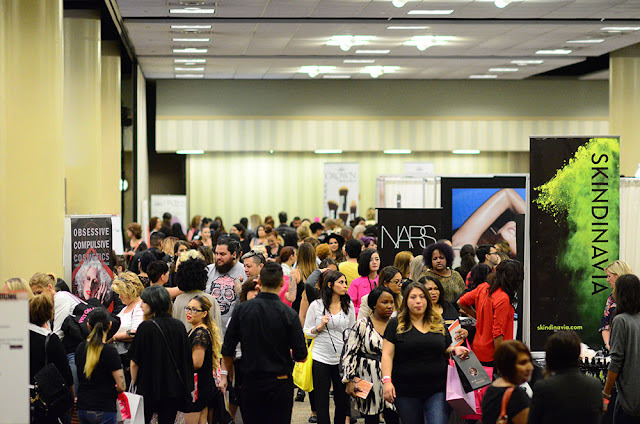 The Makeup Show is also a place to network and build your industry connections. ARE THE EDUCATION SESSIONS FREE TO ATTEND? With the purchase of your show ticket, you are allowed onto the exhibitor show floor, main floor seminar spaces A & B, as well as the Keynote & Business Forums. The only additional fees are for the Hands-On Workshops and Focus Sessions. I'M INTERESTED IN BECOMING A VENDOR WHO DO I TALK TO? Do you have any more questions that may not have been answered? Leave your question below in the comments ant I'll happily assist with answering your questions.